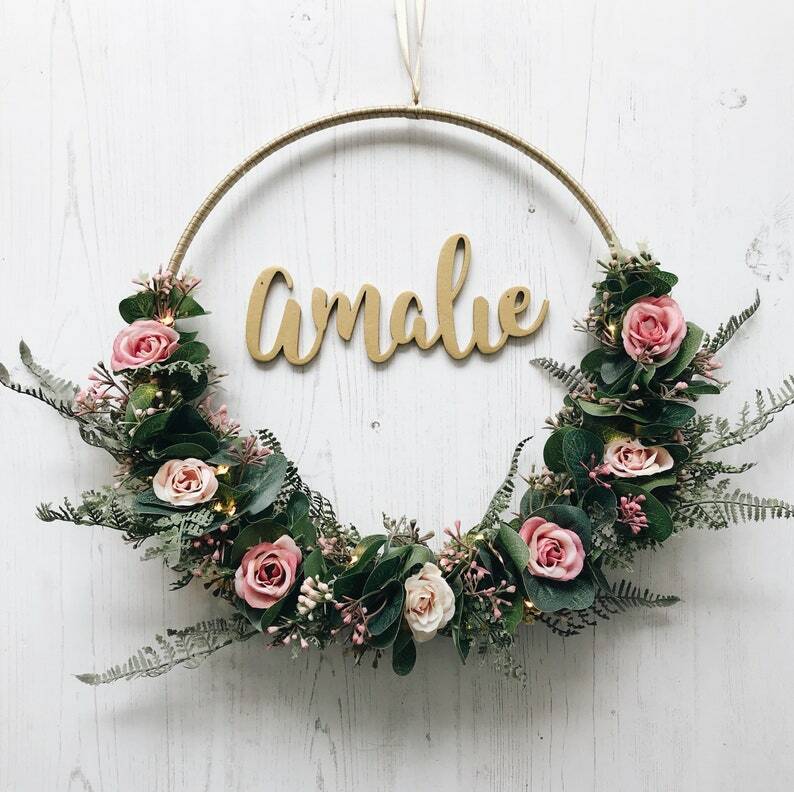 The fifth design of 'The Infinity Collection' is called ‘Amalie’ after the little girl who the design was originally made for and is a beautiful, loose foliage hoop consisting of artificial Eucalyptus, Forest Fern, the most delicate pink mini Wax Flowers and beautiful blush and pink roses. Beautiful gold ribbon adorns the other half of the hoop. 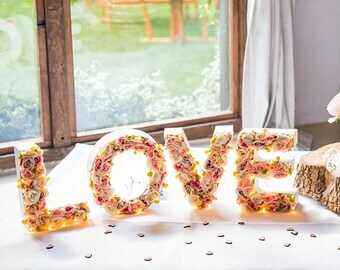 Hanging from the centre is a beautifully laser cut word (optional) which can be personalised to your request; Love, Bride, Groom, Noel - perhaps even a name? 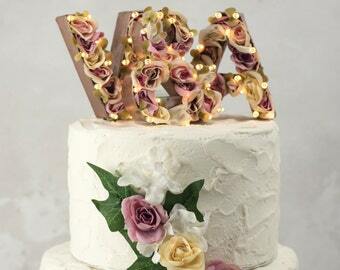 The photo shows the word sprayed in a beautiful gold, but you can choose from Copper, Silver or Gold. To finish the hoop off are 30 copper wired micro led lights - optional - and add the prettiest finishing touch for this beautiful little hoop. 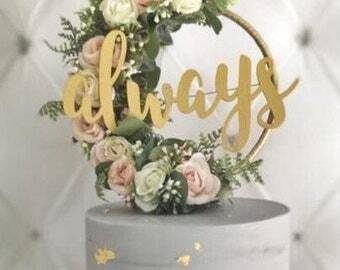 • High quality artificial flowers / foliage - no watering required! Truly one of a kind decoration!